How did your week go, you all know how I love weekends, always something to do or just sleep like I do sometimes. This weekend for me was a busy one. On friday I went home straight from the office and just slept like a baby, while on saturday I went to Lagos Island market with my friends Seun and Dewunmi. Dewunmi blogs at koolstorys.com do check her out, her stories are awesome. At the market, I wanted to get some fabrics and a new clothing rack for my room. The one I had collapsed the other day and I just couldn’t find another. Here’s a picture of how my old one looked like. I found the fabrics at Ereko street Idumota, the guys that attended to us were very nice and courteous. I got 6 fabrics in total. 3 Silks and 3 Chiffons. I intend to make shift dresses and Iro & buba out of them….pardon how I look below, Seun is a horrid photographer lol. I wore an Ankara bubu(free maxi dress) and clutched my bag tight for security reasons, loitering hoodlums don’t play…..
It’s been three years since I visited Lagos market, but I could still find my way around. During our sojourn, my slippers cut, so I had to sit in a store whilst I get it fixed or buy a new one. A really nice store owner let me sit in her store and she looked for a cobbler for me. When she didn’t find one she offered me an extra pair of slippers in her store, which I was quite surprised by her extra kind gesture. I took them, went to buy a new pair and returned hers. Trust me, there are still nice people in this world. I didn’t even buy anything from her……such a lovely lady! Moving on, I bought so much street food on my way round the market. From Boli(Roasted plantain) to Agbalumo/odara (White star fruit) to Smoked fish (Eja osan). I was just eating anyhow, luckily no food poisoning a day after…. I also got Fan Yogurt, My favorite! The shopping experience, street food and scorching sun was fun lol . p.s never wear makeup(not even powder like I did) to huge markets, Lesson learnt! 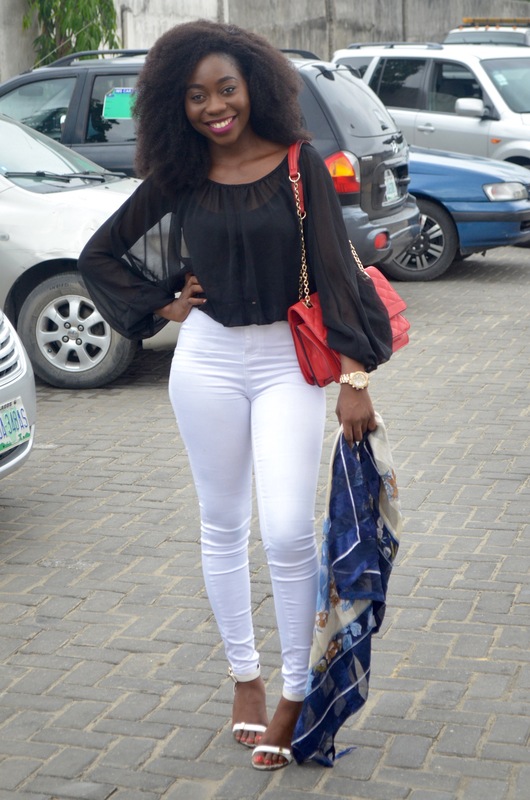 Fast forward to Sunday, I went to church with my lovely friend Obum, the sermon was awesome! The preacher talked about releasing all to God and just basking in his grace and mercy by faith. i.e releasing your fears, expectations, qualifications, worries e.t.c…….Since we are a product of grace we should walk in it boldly. After church we changed into our slippers and went to Sweet kiwi in lekki as foodies ^.^. I think since I got back I’ve been there practically every weekend. My favorite mix is Kiwi and pineapple topped with granola and grapes, Yum! Also the store attendant asked if I wanted a loyalty card, and as a regular I’m entitled to 10% off henceforth ^.^ I said Yes with joy and collected it! *dancing*!! From sweet kiwi I went to shoprite to look for the rack as I didn’t find any yesterday at the market, I found one at shoprite but wasn’t the one I was looking for so I just went to window shop instead. I ended up at the DAVIVA Store there, and bought this beautiful Ankara fabric, It was love at first sight. Yellow on dark skin is absolutely beautiful, can’t wait to sew this into a dress. This weekend was eventful, Obum even lost her phone today, but thankfully someone found it, and hopefully we’d pick it up tomorrow evening. This year has been a fantastic year so far, a few downs but God has been so faithful in all areas. One of my goals this year was to live a very full life, from the littlest of things to the biggest moments, I promised myself to live all cheerfully and in gratitude. So cheers to more outstanding moments this year. Before I leave to get some good dinner, you all know I develop SME’s for a living right? Incase you didn’t know, check me out HERE. 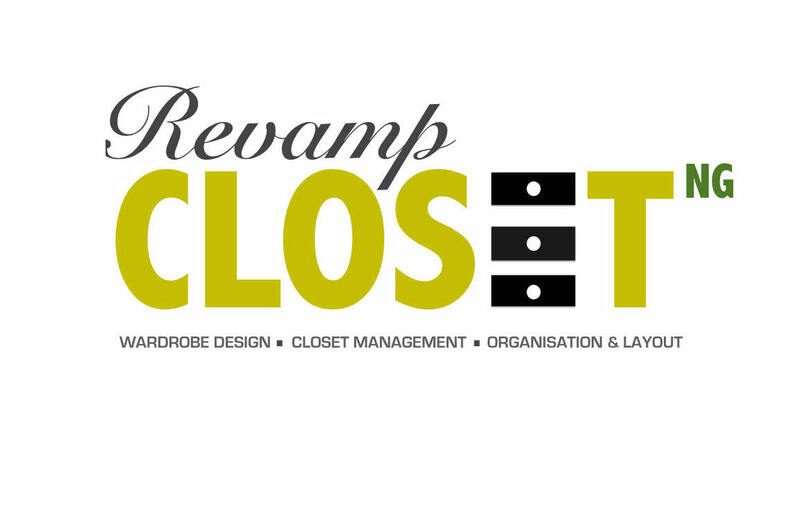 This weekend I worked on a new client called RevampCloset Ng. They are a wardrobe design, closet management and layout company. So if you struggle with keeping a tidy and functional closet like me, do check them out HERE. 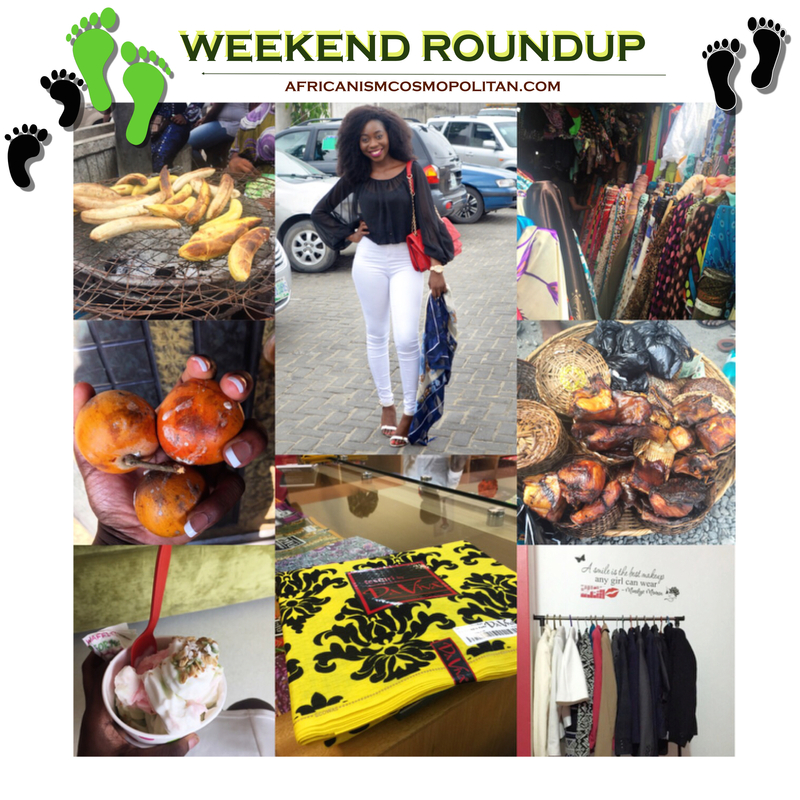 Incase you missed what I did last weekend, Read HERE , All my wakabouts are under the “OUTINGS” tab of the blog ^.^. I learnt the ‘not wearing powder(makeup)’ to market a while ago…its always horrible with the scorching sun…quite an eventful weekend indeed.cheers to a great week ahead. Keep enjoying yourself… i want agbalumo.. haven’t had it in forever. Can’t wait for the big news! Such a fun weekend. I want some agbalumo and boli😩😫 That Ankara fabric is so beautiful. Have a lovely week ahead, dear! I really love the da viva fabric it’s so different. First time here and loving your blog already.